Next month, between June 21st and 28th the Music Box Theatre in Chicago, Illinois will be invaded with all manner of beasts and terrors. 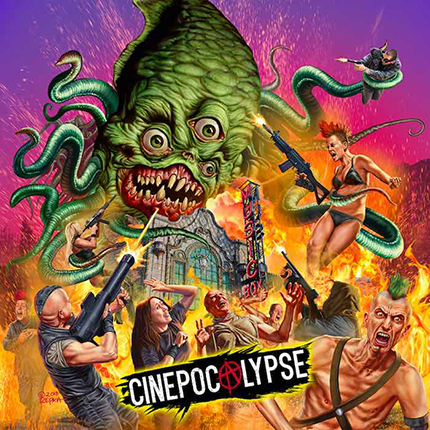 In only its second year Cinepocalypse is making a strong move to becoming a key go-to destination on the festival circuit for international fantastic cinema. With an amazing nine World Premieres the chi-town audience will be the first to see opening night film The Domestics, the PA action debut from Mike P. Nelson. There is a bat-wielding, masked killer in Brad Michael Elmore's Boogyman Pop. 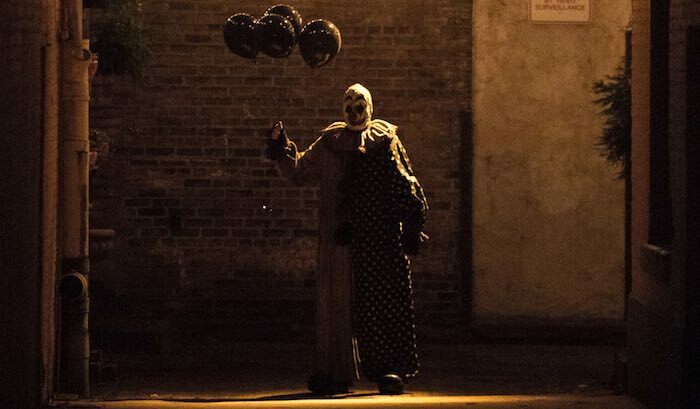 Virtual reality gets a little too real in Yedidya Gorsetman's Empathy Inc. Indie darling Lauren Ashley Carter stars in Adam Krause's clown-roaming horror flick, Gags. Michael Winnick's Malicious will likely stress out couples looking to start a family. 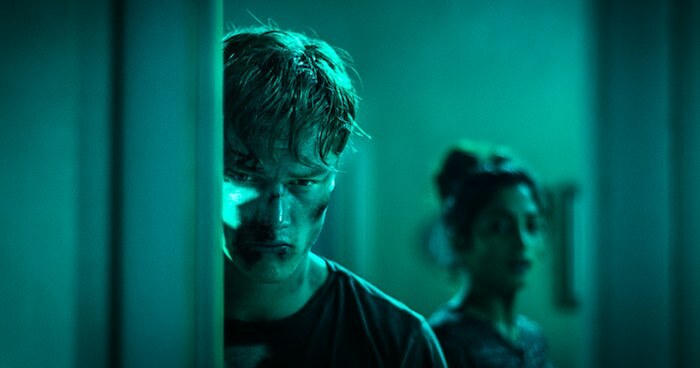 Johnny Kevorkian's Await Further Instructions looks to be a blend of current techno-paranoia, old-school top-loader gaming and British satire. Matt Osterman's Hover may be just the film we need to prove to Amazon that anything to do with drones is a bad idea. The promise of a better life, marrying into money, is anything but good in Michael S. Ojeda's The Russian Bride. And finally, Kurt Knight's medieval thriller The Appearance clashes old faiths against science. Those were just the World Premieres! Current festivals faves landing in Chicago include Heavy Trip, The Ranger, Summer of '84, Puppet Master: The Littlest Reich and Satan's Slaves. But wait, theres more. There is the list of retro-screenings as well! Attendees will get to see Howard the Duck on 70mm. Howard. The Duck. 70mm. 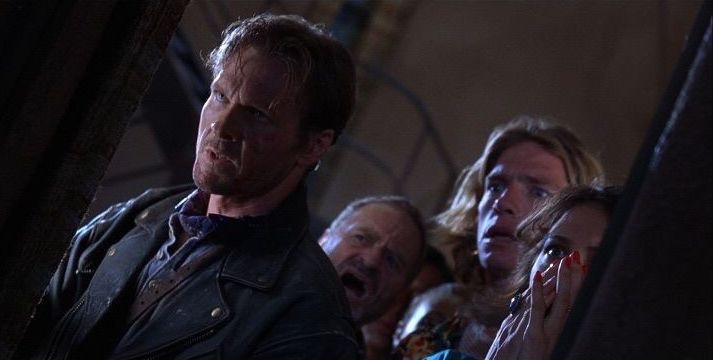 And yes, there are also screenings of Bound, Doctor X, Judgement Night, Juice and Tales From The Crypt Presents: Demon Knight. But. Howard the Duck on 70mm! Find all the films and writeups below. And because we are firm believers in the art of the poster and festival posters that catch our eye are also worth nothing, how about that artwork from album artist Ed Repka? Even cooler, read below how the festival is honoring Repka's work with their festival program this year. See you at Cinepocalypse in June! May 17, 2018 - The Music Box Theatre is proud to announce their full slate of 2018 programming and guests for the sophomore year of CINEPOCALYPSE, which will take place June 21 - 28 at Chicago’s majestic Music Box Theatre. The Midwest’s largest gathering of genre films and fans, the festival’s organizers are proud to have Doctor Strange director Scott Derrickson and screenwriter C. Robert Cargill as Co-Presidents of their 2018 Feature Film Jury. A Russian woman (Oksana Orlan) travels with her 11-year-old daughter (Kristina Pimenova) to America, with plans to marry an eccentric billionaire baron (Corbin Bernsen) offering them hopes for a better life. Arriving at hi7us luxurious estate in the dead of winter and miles from civilization, the two are quickly enchanted by the reclusive man’s charm. But the promise of a fairy tale existence ends as the rich man’s tragic secret past is revealed and his resulting madness surfaces, turning their lives into a living hell. In a shocking final act, the baron’s sinister plans are exposed, and the mother and daughter find themselves fighting for survival.